Make 4 interest-free payments of $107.25 fortnightly and receive your order now. Click here for more information. The Kuwaii Darby Platform is our original classic leather brogue on a platform sole. 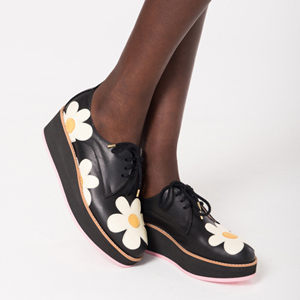 Beautifully cut and very flattering on the foot, the Kuwaii Darby Platform is a timeless shoe and one built to last in terms of style and quality. Incredibly comfortable and supportive, the Kuwaii Darby Platform is proudly made in Melbourne.